Wine benefits from being aerated before being served to enhance the flavour of the bouquet. 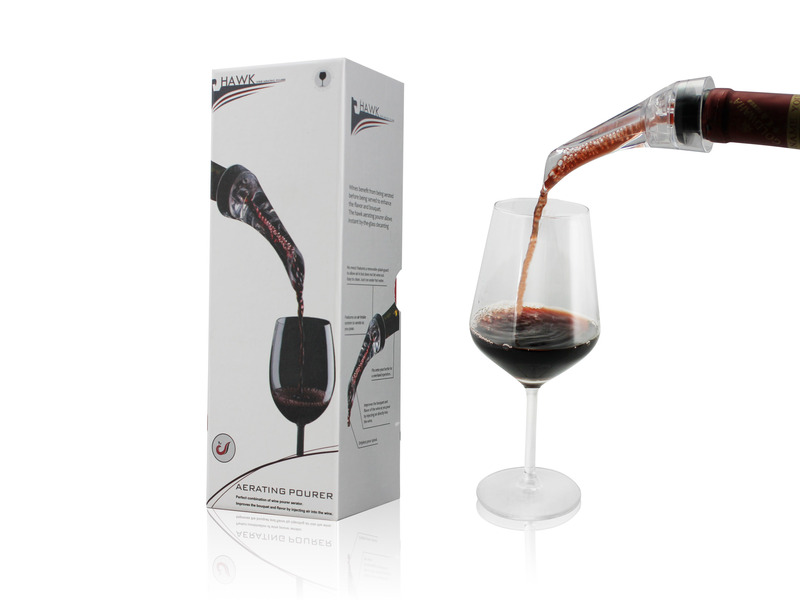 The aerating pourer allows instant by-the-glass decanting. Features a removable splash-guard to allow air in but does not let wine out. Features an air intake system to aerate as you pour. 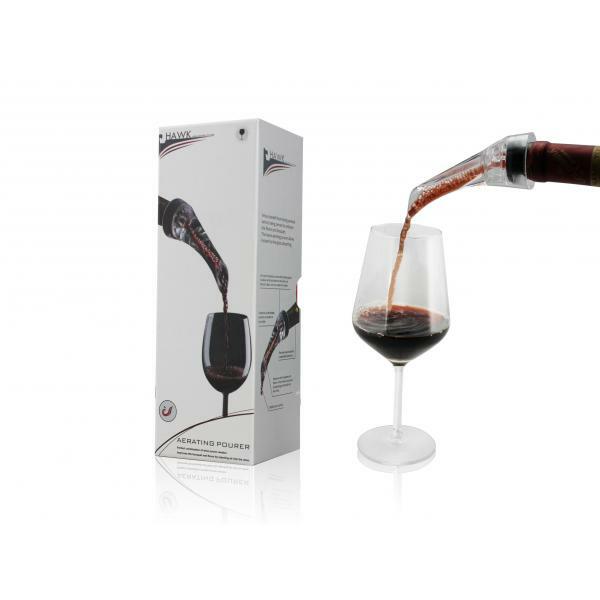 Improves the bouquet and flavor of the wine as you pour by injecting air directly into the wine.